listening to MGMT’s, “Oracular Spectacular” having just finished the week with a head cold. eating, for the most part Raw. thought i’d put down in words and pix what’s been going on with me lately. 2011 is feeling like a pivotal year to me. I’ve been attempting to follow my instincts more; starting, primarily with food. in previous posts i’ve carried on and on about my love and admiration for coffee! well, here it is. i haven’t had a cup a joe, a latte, cappuccino, cortado or any other coffee elixir in almost three weeks now (good thing i didn’t get that tattoo!). WOW. for me that is a grande feat. surprisingly enough, i didn’t suffer from headaches, withdrawal, none of the usual symptoms of a heavy addict. the reason i stopped, cold turkey? i wanted to conduct a test. 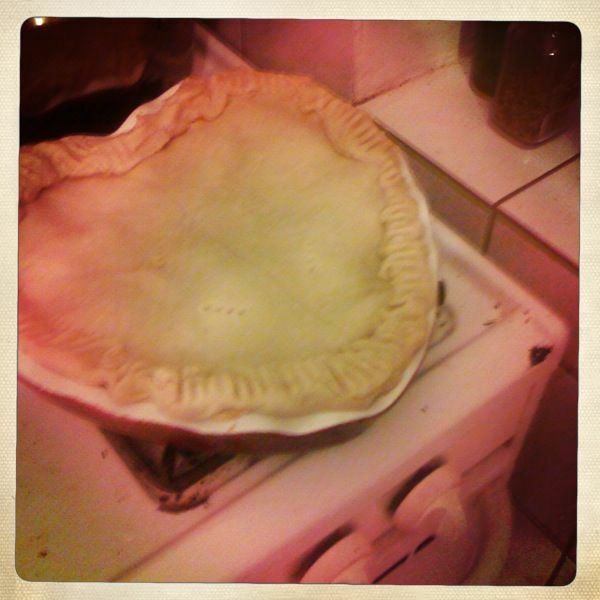 it started with making an apple pie. a gluten free apple pie. i used Pamela’s bread mix for the crust and it was awesome! i purchased a saladacco, or spiralizer thingy from Upaya Naturals a couple days before the pie creating. 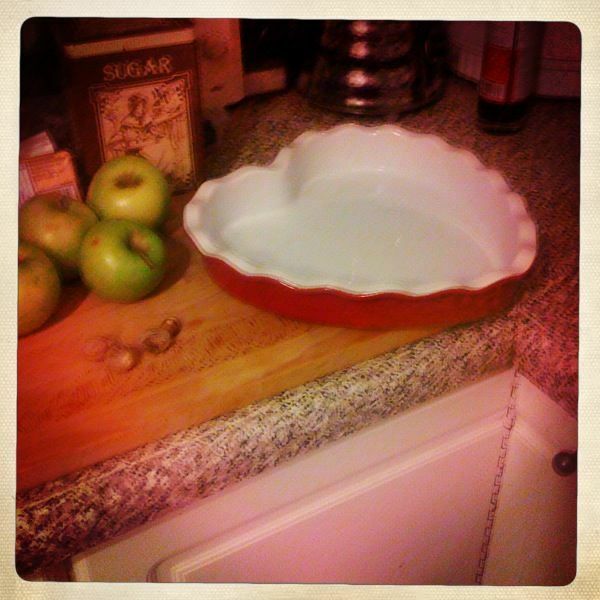 it was great to use on the apples! i sliced up six granny smiths. cinnamon, nutmeg, a little clove, and fresh tarragon were added to the apple slices. instead of using the tons of sugar apple pie recipes generally call for, i went with half a cup of super dark brown sugar… really, it was all i had, it was too cold out and i was too lazy to head over to the grocery store. the pie was amazing! perfect. better then any my partner and i have literally had in a long time. long, long time. ok, so i got to thinking. since we both seem to have some sort of issue around gluten/wheat why not try to make our own gluten free crackers. we like crackers because we love cheese and wine 🙂 and good gluten free crackers are seemingly hard to come by. i’ve gone back and forth with raw for awhile now. in 2003-2004 there was a sweet little raw cafe nestled inside of lileo when i had a studio in the distillery district (toronto). the staff would always tell me how woody harrelson loved the cafe and was actually a regular. as if.. however, during TIFF 2003 i did go to woody’s after party for the film, ‘go further’ which was entirely organic, raw, vegan cuisine, beer and wine as well.. all except the absinthe. it was a great party! i mean free, all you could drink absinthe?! anyways, i would occasionally eat at this cafe. the food was great. 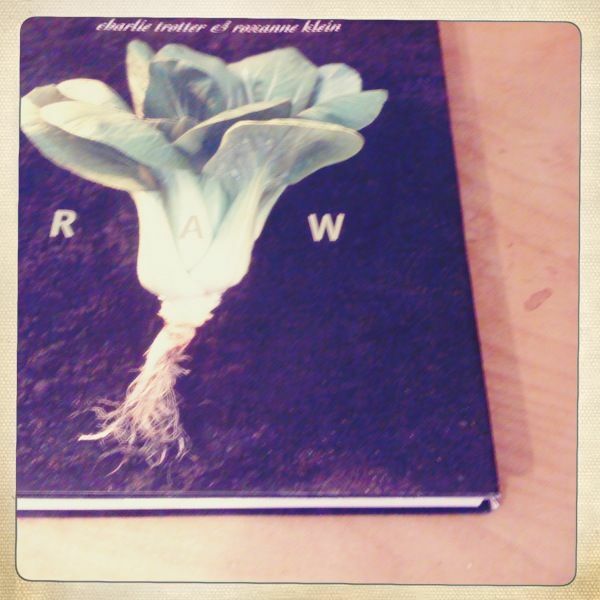 this is when i purchased roxanne klein and charlie trotter‘s book, RAW. from the san francisco, bay area i could relate and attest to the abundant, beautiful produce available year round however, that is not the case here in toronto. plus, the super cold winters here have me wanting to eat anything but raw. so, i played with some of the recipes in the book. but never fully committed myself. over the years i kept going back to RAW (the book), vegan, and the easier vegetarian diet. it’s not that i want to consume meat. i love animals! and do not believe they should be kept prisoners, pets/slaves, for our pleasure and consumption. but i am also a weak Human being. or have been! 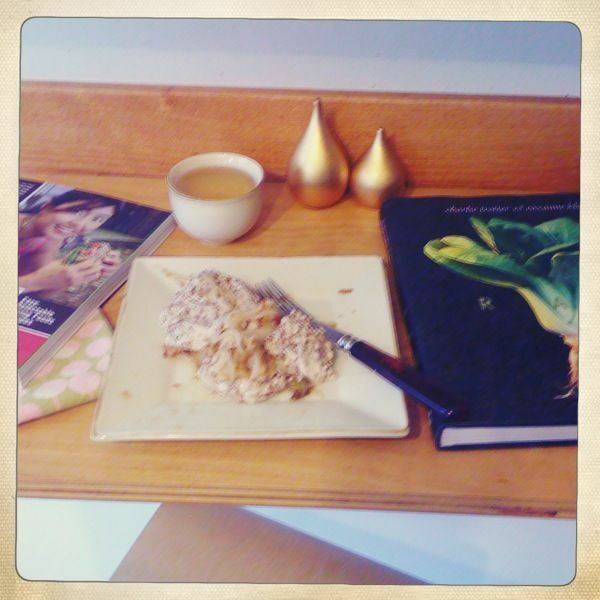 anyways, there are plenty of raw cracker recipes out there and roxanne’s RAW has a recipe for dragon crackers. soak a bunch of flax seeds, which i did overnight. then i added crushed garlic, gluten free tamari, raw honey, garam masala, red onion and a little water. i ground this up in my food processor, spread it out on dryer sheets and dehydrated the mush for 24 hours. part way through i peeled the mixture off of the dryer sheet and laid the now crackers onto the rack. this isn’t entirely following roxanne’s recipe but they sure did come out fantastic! surprisingly so. i shared a couple with students and friends, who were very impressed indeed- really these are damn good crackers! ok. so, i’ve found my gluten free cracker. people usually think i’m a vegetarian because of my hair. only to be surprised or put off when i order the steak frit or lamb tagine, fresenjaan, etc. i do love salads though. great big salads full of sprouts, nuts, fresh veggies, herbs topped with aged balsamic, silver leaf olive oil or flax oil, cracked black pepper, lots of garlic and sea salt, smoked salt or tamari and lemon. since november 8th i’ve been eating either raw or vegan. coconut oil/butter has replaced liquid solidified cow fat. coconut milk has replaced my almond milk, though i may go back and forth on this as i do love almond milk. i’ve been making raw crackers, and breads. packing up huge salads for my day ahead at the studio. this week i’ve been primarily raw. with my discovery of kelp noodles (!!!) this is almost all i want to eat! all this good fresh food has me waking up in the early a.m., like 5:30-6am! fully awake. lucid even. it’s no joke. not like i haven’t been aware of this though. i’ve done numerous cleanses, try to at least once a year. waking early is usually a result. but i feel great! even with a crazy head cold. 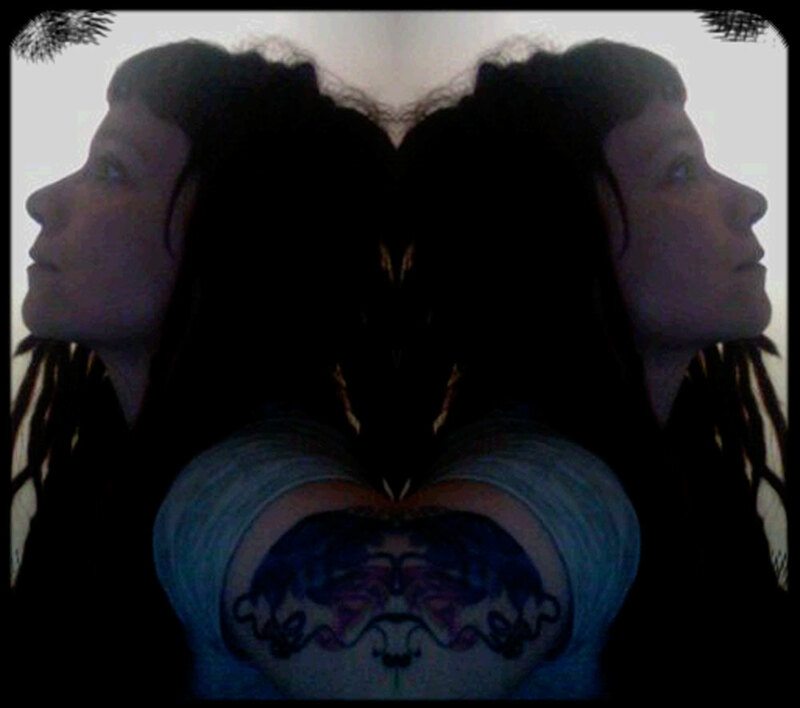 i’ve wondered if the head cold came from the raw eating- sort of a cleansing response… maybe. regardless, the food has been great and a fun non-cooking adventure. 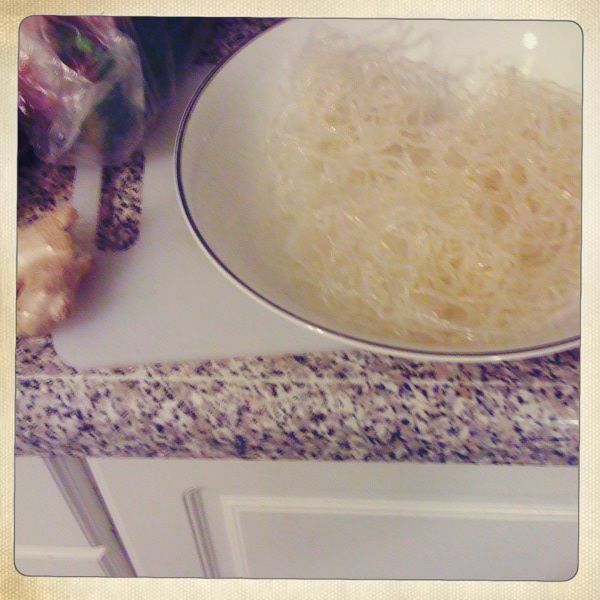 so yeah, the kelp noodles. i was sceptical at first. thought they’d be fishy and mushy, or weird and sticky. but no. a complete surprise! these noodles are super duper crunchy. not like uncooked pasta crunchy but fresh vegetable crunchy. a nice crunch. and, no fishy smell. they take on any flavours mixed with them so have at it! 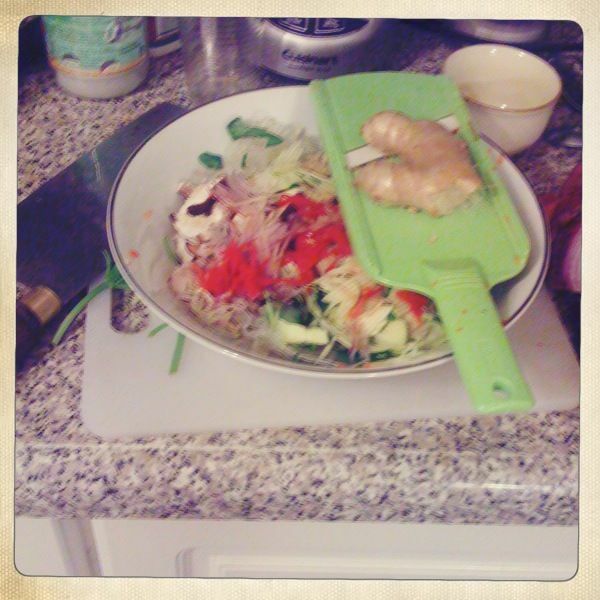 my first dinner was a pad thai rendition. i now own two raw recipe guides. ani phyo’s book is great except all the pictures of ani kind of get to me after awhile. 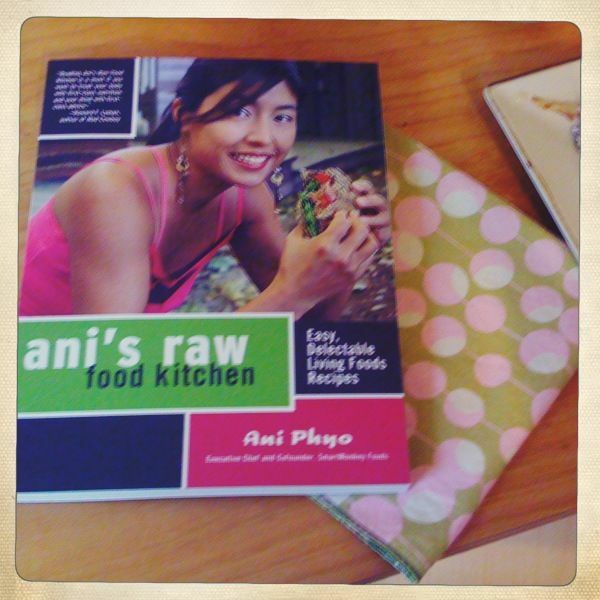 i bought the book for the recipes not to look at ani and her lifestyle. but that seems to be what it’s all about, selling a lifestyle. whatever, the recipes are worth it. i’ve made some of her smoothies, mylk, and pancakes! yes, pancakes. they are SO good. if you’re into this raw thing, and miss your pancakes you should try these out. they pretty much consist of flax seeds, whole or meal, coconut oil, water and sweetener like agave, lucuma, maple syrup, etc. soak your seeds! then blend everything up, form, and top with fruit or maybe a raw creme. i’m considering sticking with this way of eating; vegan/raw… vegetarian. we’ll see. i do love roasted root vegetables, a hearty vegetable leek and potato soup. if i am to eat seasonally here, in toronto i may have no other choice for myself. here is a pesto squashta i made this evening. 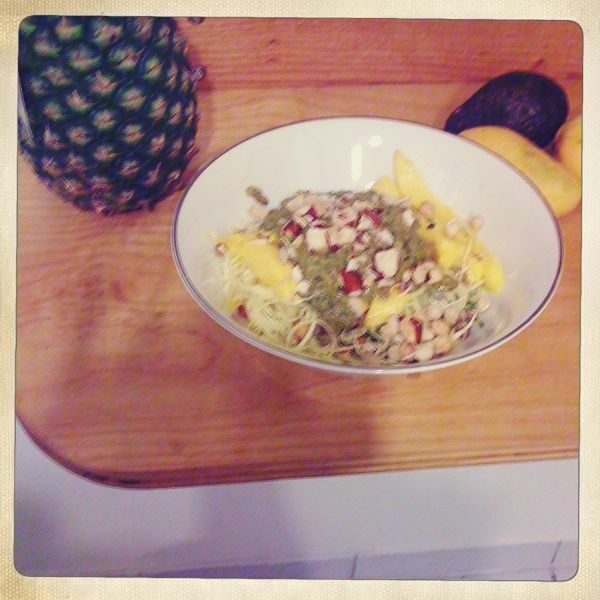 tons of garlic, spiralized zucchini and yellow squash, sun dried tomatoes, basil, veggie pate, with tamari, pepper, tossed together with mango and brazil nuts. well, with 2011 upon the horizon. i’ll be ready and raw.